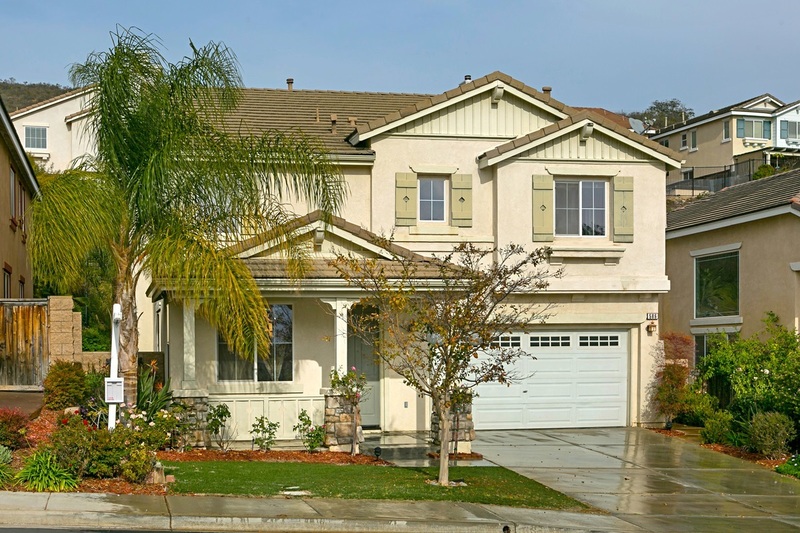 This lovely home is perfectly located in a quiet gated community. Modern kitchen has silestone counters, maple cabinetry and stainless steel appliances. Hardwood floors throughout the first floor and has carpet upstairs. One bedroom downstairs and full laundry room upstairs along with spacious bedrooms including a huge master suite with generous walk-in closet. Water feature built into the rear slope. Read on to supplement!, Great location. Close to Palomar College, schools, shopping, the Sprinter and easy freeway access. Move-in ready. No need to preview.